The beleaguered city of Flint, Mich., would receive up to $600 million in federal emergency relief under a proposal unveiled Thursday by Michigan’s U.S. senators with the backing of top Democratic leaders on Capitol Hill. Two-thirds of that funding would go toward a joint federal-state effort to replace the water infrastructure, which has become badly corroded since a state-mandated change to Flint’s water source, sending reading of waterborne lead to hazardous levels. The balance would fund a Center of Excellence on Lead Exposure to monitor and assist Flint residents over the next 10 years. At a Thursday news conference, Sen. Debbie Stabenow (D-Mich.) compared the Flint water crisis to natural disasters for which Congress has stepped in with emergency funding. “This is as much a national crisis as a hurricane or a tornado or a flood or anything else in terms of what has happened to the people in Flint,” she said. 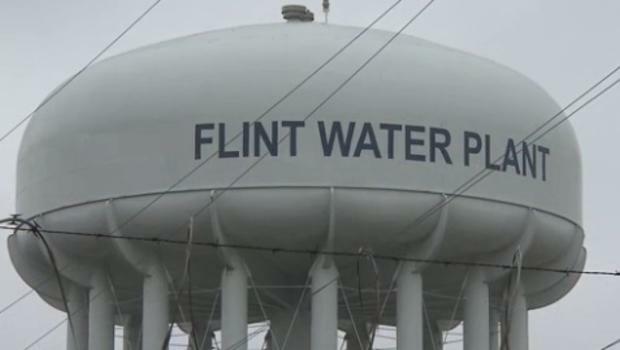 Democrats are pushing to include the Flint relief package as an amendment to a wide-ranging energy bill now under consideration on the Senate floor. That bill has bipartisan support, but a number of divisive amendments are pending, and the cost of the Flint proposal could cause Republicans to balk at the proposal. Besides the infrastructure and health spending, the Democratic proposal also would allow the state of Michigan to forgive Flint’s debt of about $20 million for prior infrastructure spending and includes a policy change that would require the Environmental Protection Agency to issue a public warning when state environmental officials do not take decisive action on unsafe drinking water. In the months after Flint’s water supply was switched from the Detroit water system to a local river, EPA regulators warned state environmental officials about elevated lead levels found in household testing. But the state did not immediately heed the warnings and sought to play down the significance of the readings. Both Stabenow and Sen. Gary Peters (D-Mich.) asserted Thursday that the ultimate responsibility for the crisis lies with the state and its Republican governor, Rick Snyder. But they said the federal government has a role in fixing the mess. The $400 million in emergency infrastructure funds, they said, would be made available only if the state provides dollar-for-dollar matching funds – thus covering the roughly $800 million price tag the state has given for replacing lead water lines. “Yes, the federal government will step in, but the state has to step up, too,” said Sen. Charles E. Schumer (D-N.Y.), who appeared with the Michigan lawmakers and several other Democratic senators on Thursday. Don Stewart, a spokesman for Senate Majority Leader Mitch McConnell (R-Ky.), said individual senators and relevant committees will be reviewing the proposal. But the senators from Michigan said they hope for quick bipartisan action. Politically speaking, the trickiest issue is likely to be how to pay for the proposed spending. Historically, disaster relief funding has been passed on an emergency basis and has not been subject to deficit-control measures. But emergency spending bills have typically been reserved for natural disasters, and a 2013 proposal to spend $50 billion without offsets for Hurricane Sandy relief was almost derailed by Republican objections.